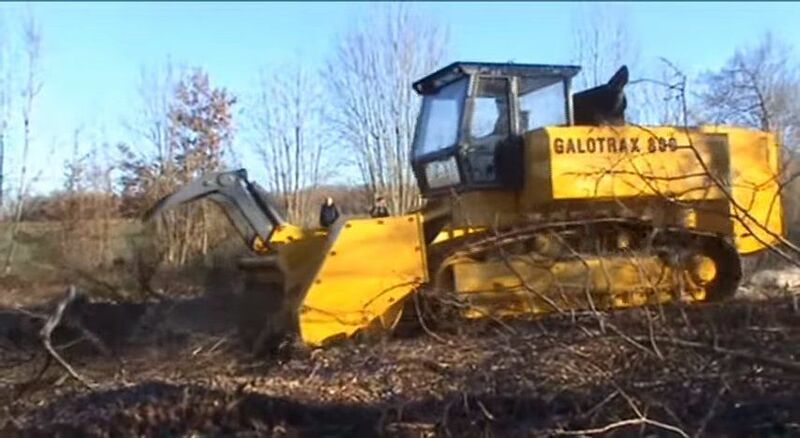 Watch the GaloTrax 800 in action, mowing down trees and brush, chewing them up and spitting them back out the other side without ever breaking a sweat! The GaloTrax 800 is the world’s heaviest mechanical drive forestry mulcher, with 765 horsepower and weighing in at 58,000 pounds. This heavy-duty mulcher can function in the most demanding work environments, such as steep slopes and marshy ground. The chassis is designed from HLE steel, a strong but lightweight metal. The chassis exerts only slight pressure on the ground, ensuring exceptional clearance of any obstacles. The driver of the GaloTrax 800 is secure in the 2-door tilt cab that features Margard anti-projection windows, air conditioning, and a high-comfort suspension seat. The lifting control uses a single manipulator, and the mulcher has a hydrostatic feed with two-speed ranges, according to Plaisance Equipements. Forestry mulchers are ideal for cutting, grinding and clearing vegetation and can clear up to 15 acres per day, depending on the type of terrain, the density of the vegetation, and type of vegetation. 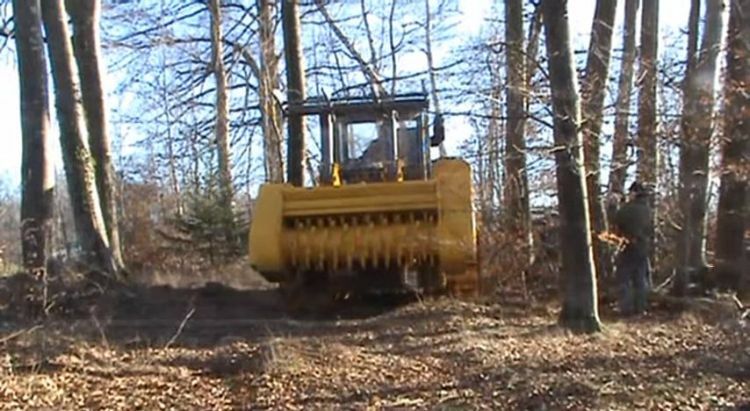 Heavy-duty mulchers, such as the one featured in the video, are often used to clear land for pipelines, prevention of wildfire, control of invasive species, and wildlife restoration. Mulching offers the environmental benefit of leaving soil structure intact, as opposed to other land clearing forms that increase the risk of erosion.